Roosevelt Retail Corridor is officially a thing! 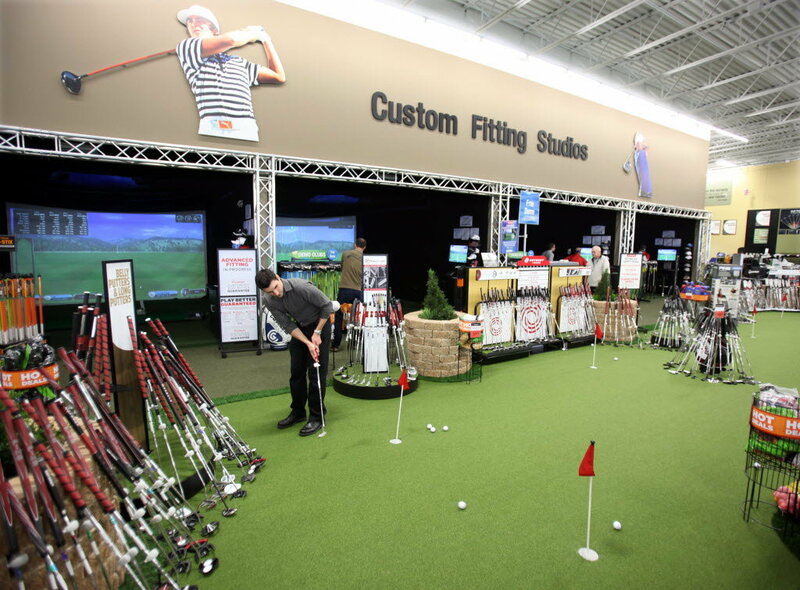 A golf retailer is stepping up to the tee in the South Loop, which has filled in with new stores over the past two years. Golfsmith International Inc. has leased about 14,000 square feet in the Roosevelt Galleria, a 42,000-square-foot shopping center at 603-627 W. Roosevelt Road, a spokesman for the Austin-based company confirmed. The store will be the firm's second in the city and its sixth in the Chicago area, according to the firm's website. “We identified the South Loop area as attractive, given its strong retail presence and convenient accessibility in the heart of the city,” the spokesman said in an email. He declined to discuss lease terms. The company is joining a crowd of retail chains that have agreed to open stores in the South Loop, betting the Roosevelt Road retail corridor will draw shoppers from nearby neighborhoods. This isn't terribly surprising and something many people predicted would happen eventually. “I think it's somewhat comparable to what North Avenue (near Lincoln Park) has turned into,” Jeffrey Annenberg, a Skokie investor in a venture that acquired Roosevelt Galleria in 2012. The venture bought the bulk of the property from Bank of America N.A., which had seized it through foreclosure in 2011. As retailers ink more deals in the South Loop, developers are trying launch new projects in the neighborhood. Mr. Annenberg, for example, is part of a venture that owns an approximately 66,000-square-foot parcel at 550 W. 14th Place in the South Loop. The venture has hired the Chicago office of RKF to find tenants for the site, which Mr. Annenberg said could be used for retail, medical offices or other uses. Chicago-based investor JRG Capital Partners LLC, meanwhile, wants to develop a new shopping center at 1120 S. Clinton St. While we've heard some people who detest these national big box retailers coming to the South Loop, we don't have those same issues. Yes, we prefer locally run businesses but we also like for the neighborhood to continue to progress.